Thomas Fire on Dashcam. And bonus Canyon runs! 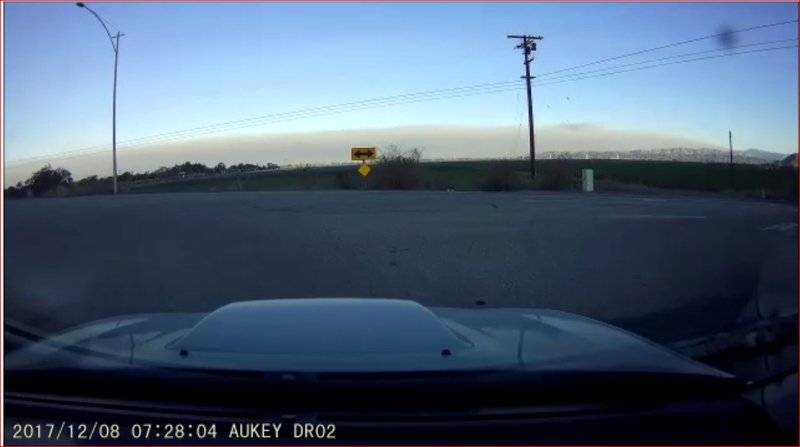 On Friday morning I captured some of the smoke on my dash cam while driving to work. It is pretty unreal how big that smoke cloud is extending out over the Pacific ocean. Thankfully the fires have not impacted me or anyone I know, but I have heard word of coworkers losing homes in Ventura and all of the news elsewhere. Its a wild thing to experience firsthand in my new home of Socal! And while uploading some dashcam videos, I also have a quick snapshot of Yerba Buena road that I tried after work as well as a nice round trip run on The Snake at Mulholland Highway. And funny story, I went on a drive to the Snake in my Miata and immediately got pulled over for a “loud exhaust”. Not speeding or driving recklessly, just out for a nice cruise. And given the lecture on having 10 days upon establishing residency to change my plates. Well since I still have a NJ plate, registration, and license, I will continue to say I am “visiting”. No ticket but that put a hamper on the night since I wanted to get more than one run in. At least I got to drive Latigo afterwards which was fun for sure! The new Star Spec tires on the Miata are VERY fun. Little bit wild in the dark but I think I will try it today in the daylight.